Moisture issues aren't always big. Sometimes significant damage can result over time from what begins as a relatively small problem. While it is absolutely true that Mold issues can occur anywhere, humid indoor conditions provide the optimal environment for mold to grow and thrive. In fact, many of the mold issues we are contracted to resolve are not from water leaks, but rather long term minor moisture issues or seasonal conditions. Often, these issues can be resolved relatively easily if caught early enough. 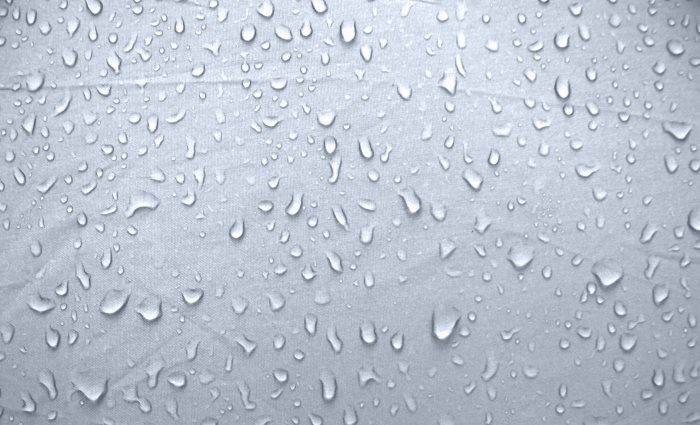 Condensation: Do you see water condensing on cold surfaces (pipes, windows, etc.)? This is a sign of a high humidity issue. Setting up a dehumidifier can resolve humidity issues, preventing mold problems in the first place. There are dehumidifier models available that can even drain automatically into a sump pump, sink, or floor drain! Dampness: Are your foundation walls or floor damp or discolored? Maybe you get a little water in your basement when it rains? Even though these issues may not introduce a lot of moisture, they can add enough moisture and humidity to the space to allow mold to grow. While a dehumidifier may address these issues, it may be necessary to determine and resolve the cause in order to prevent moisture from coming in to the property. Most often, the cause of foundation moisture issues are things like yards that are graded towards the home, gutters that are improperly installed, or heavily wooded yards (most commonly pine trees). Puddles: Do you get puddles or standing water in your basement when it rains? Maybe you have water pooling on a window sill on cool days? These issues can result in significant mold issues relatively quickly. While dehumidification is a great first step (as is cleaning up any standing water as quickly as possible), pooling water generally requires additional steps to remedy. In these cases you definitely want to investigate where the water is coming from and where it could be diverted away from the home. Consult with a contractor that specializes in this work, who is able to assist you in determining what might be going on and what options may be available to you to resolve it. Improperly vented appliances and exhausts: Is your dryer vented to the outside? How about your bathroom exhaust fan? One of the most common issues we discover in homes are improperly vented exhausts. Bathroom exhaust fans and dryer exhausts both vent moist air, so if they are vented into another room, a wall cavity, or into your attic, you're filling those spaces with the ideal conditions for mold to grow and thrive. While a mold issue may have already developed and may need to be remediated by a professional, it is also important to have a contractor properly vent these units to the outside to reduce further issues and prevent future ones. Moisture issues aren't always big. Sometimes significant damage can result over time from what begins as a relatively small problem. Hopefully we've given you some ideas for things to look for and how you can correct them before you need mold remediation services. Should you have a mold problem already however, we are more than happy to help you with the mold contamination as well as the underlying moisture issue. We hope you found this information helpful! Hopefully, with these tips, you'll never have a need for us, but if you do, please don't hesitate to Contact Our Offices! We're happy to help. *This story originally appeared in the July 2018 issue of Connections Magazine, as part of a monthly contribution made by Disaster Blaster, Inc. Please check out the current issue of Connections Magazine for this month's story!